July 12-21 UBW’s Summer Leadership Institute (SLI) will be held in NYC at Gibney, the SLI Institutional partner for 2019. This summer we are using physical and verbal dialogue, creative and choreographic tools, panels, readings, and embodied research to investigate the effects of Black women(+)’s* leadership on the United States. We will center the leadership of Black Women (+) to learn and study organizing & artistic strategies from the lives of individuals and collectives such as Harriet Tubman, the Combahee River Collective, Marsha P. Johnson, and the Stonewall Raid resisters, Maxine Waters, Barbara Jordan, Shirley Chisholm and Stacey Abrams, as well as the Black women(+) leaders in our own neighborhoods and families. We will examine and take inspiration from the artistic legacies of Ntozake Shange, Octavia Butler, Toni Morrison and Urban Bush Women as ways to see our possibilities as artist/ organizers who challenge the status quo. We invite EVERYBODY to join us in this work. We are reclaiming the word EVERYBODY, not as empty diversity, equity & inclusion language, but as an explicit invitation to people of ALL identities who are interested in examining history to strengthen our collective organizing through the lens of the Black Sacred Feminine. *Women(+): Our thinking around the expansive experiences and embodiments of womanhood are inspired by Queer Art, by The Leeway Foundation, and by other individuals and organizations. Urban Bush Women employs an expansive definition of the word “woman.” With that umbrella term, we refer to self-identified women, gender-nonconforming people, and non-binary people who would use “women(+)" to describe themselves. 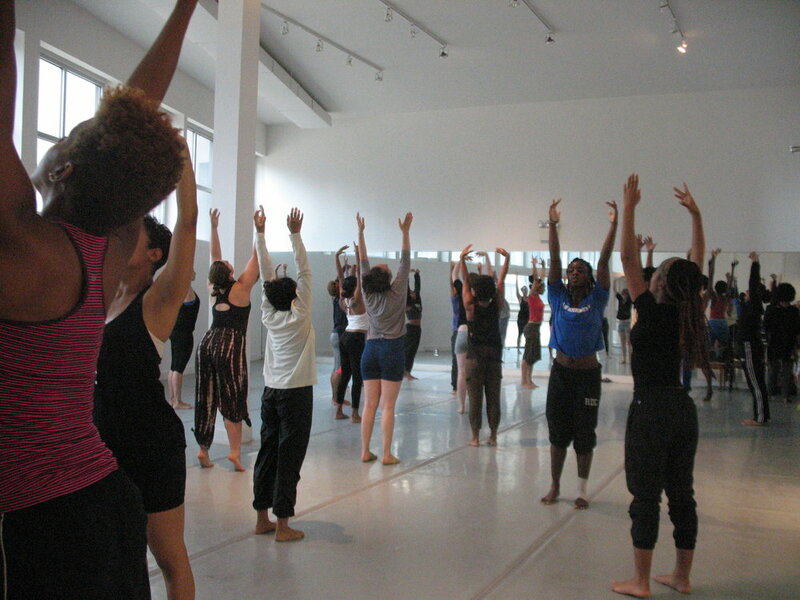 Dance For Every Body; Entering, Building and Exiting Community; Understanding and Undoing Racism® Community Organizing Workshop (by the People’s Institute for Survival and Beyond - PISAB); Asset Mapping; and Using Research to Create Performance. Click HERE for more information about these workshops. The Summer Leadership Institute is the ideal place to turn challenges into opportunities for finding your/our power – artistically, individually and collectively. Study with Urban Bush Women and our powerful partner, The People's Institute for Survival and Beyond, in addition to dozens of experienced artists and organizers from around the country who make up the SLI faculty! For more information email sli@urbanbushwomen.org or subscribe to our newsletter using the signup form at the bottom of the UBW website. Yes, international students are welcome to apply. What is the average age of an SLI participant? The SLI is an inter-generational community, open to everyone over 18 years old. There is no maximum age limit for this experience. Typically the SLI community age range is 18 years old to 70+. Tuition for the 2019 SLI is $1000. Is housing covered by the tuition? No, housing is not covered by the tuition. Participants are responsible for finding their own housing. Where will the SLI be located this year? How long will an SLI day be? You should expect a full day approximately from 9:30 am to 8:00 pm, depending on the activities. 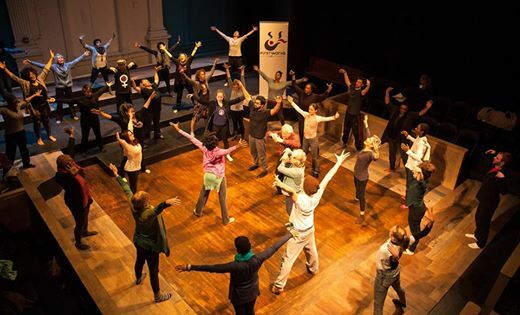 Using movement and conversation, story circles and community sings, BOLD workshops strive to help us all make sense of the world around us—and prepare to take action in undoing racism together.